There is only 1 day left until the Super Bowl 2012 takes place on Sunday, February 5. The time is running out for Super Bowl advertisers to build up the social awareness for their expensive commercials ahead of the Super Bowl XLVI TV broadcast. Most 2012 Super Bowl advertisers have released their ads and social campaigns. There are some advertisers like Chrysler that hold back and did not release their Super Bowl commercials yet. For the most part though the Super Bowl ads are online already. Our 2012 Super Bowl Ads Video Library counts 37 ads. At the end of January, Volkswagen was again ahead in the online Super Bowl ads battle with the release of the teaser video The Bark Side that went immediately viral and has now over 10 million views. Things have changed quite a bit one day before the Big Game. Volkswagen's initial viral success with the teaser video The Bark Side is not translating into views for the actual Volkswagen Super Bowl 2012 Ad. Honda is the new undisputed frontrunner of the online Super Bowl Ads wars of 2012. The Japanese car maker landed a surprise hit with the release of a 10 second teaser video late last week featuring Matthew Broderick as Ferris Bueller. Honda released an extended version of the Super Bowl commercial featuring Matthew Broderick titled "Matthew's Day Off". Within 24 hours the Honda ad reached already over 2.5 million views. Now the view count on Youtube is at 10.83 million. The first 10 second teaser reached so far over 5 million. Combined views are almost 15 million. Honda owned Acura was yesterday still behind the Honda CR-V commercial, but today Jerry Seinfeld comes out on top with 12.27 million views with his Acura Super Bowl 2012 Ad titled "Transactions." 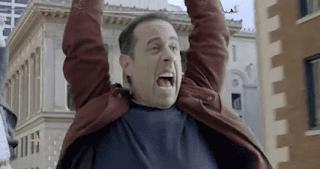 For me the Jerry Seinfeld Super Bowl Commercial is the best ad of Super Bowl XLVI. The Audi Super Bowl 2012 Ad still ranks 3rd followed by the Volkswagen Super Bowl 2012 Ad and the Chevy Super Bowl 2012 Ad titled Happy Grad. Watch the top 5 most viral Super Bowl 2012 Ads below.